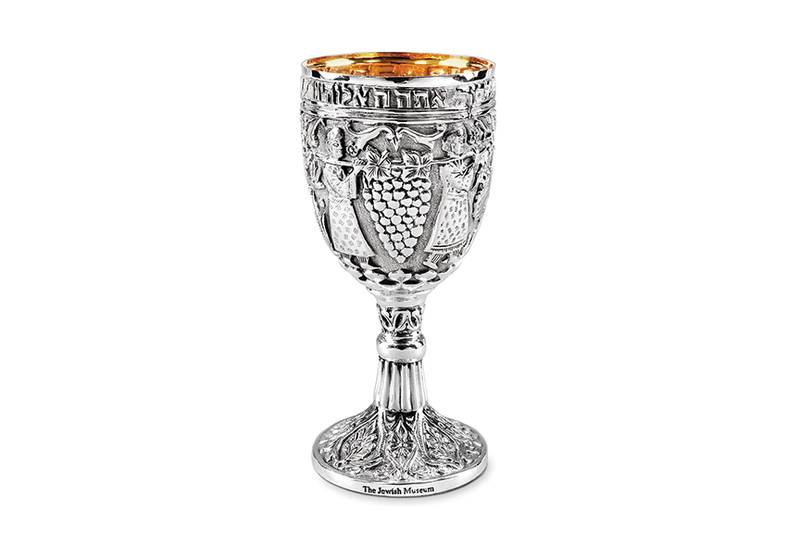 Reproduction of a 19th century Kiddush Cup, Iran. The inscription around the rim expresses the traditional Hebrew Blessing, "Blessed art thou O Lord our God, King of the Universe, who has created the fruit of the vine." Height: 6 7/8"